A few doctors hold beliefs about medical practice that are far outside the, mainstream. Certain parents who also have nontraditional beliefs about medical care gravitate toward them. The Internet provides an efficient way for them to find each other. In our experience doctors who practice non-traditional medicine offer some of the greatest opportunities for splitting. Generally, they have strong opinions and have long ago decided they are right and the rest of the medical community is wrong. These doctors seldom have an interest in forming a consensus with anyone else. As a result, they are a boon for parents who would expose their children to unnecessary or harmful medical care. For example, there are physicians who believe that many nonspecific medical and psychological symptoms can be manifestations of chronic Lyme disease. Many, if not most, people who live on the East Coast of the United States test positive for antibodies to Lyme disease. This is an indication they have received a tick bite, been exposed to the infectious agent, and have mounted an antibody response. The Infectious Diseases Society of America has published recommendations for evaluation and treatment of Lyme disease. Likewise, the American Academy of Neurology has also published guidelines for the treatment of central nervous system Lyme disease. While Lyme disease can be a serious infectious process with major long-term consequences, it can also be a benign clinical entity where people become infected and never notice any significant symptoms. We have treated several children whose parents took them to Lyme disease specialists with a reputation for diagnosing Lyme disease and treating it much more aggressively than indicated in accepted guidelines. 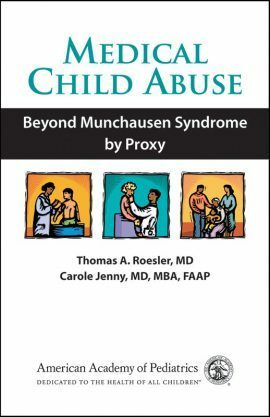 One child with a documented history of sexual abuse in early childhood and psychological symptoms entirely consistent with her early trauma had received 1 1/2 years of intravenous antibiotics prescribed to treat her chronic low level of depression and irritability. She came to us with her central line still in place. Her mother was appreciative of the help we offered but was adamant about continuing the intravenous antibiotic treatment for the entire 2 years prescribed by the specialist. Several months prior to coming to us the girl had a painful bout of cholecystitis requiring the removal of her gallbladder. This was a side effect of the antibiotic she was receiving. We felt the antibiotic treatment was unnecessary and the gallbladder surgery could have been avoided, and that the indwelling intravenous line was an invitation to potential life-threatening sepsis. Although we attempted to engage the consultant in considering an alternative hypothesis for the girl’s psychological difficulties, we were completely unsuccessful. The girl continued to receive unnecessary and harmful medical care prescribed by a licensed physician who believed he was practicing reasonable medicine. We consulted the local child protection agency but were told that because the family was following prescribed care, there were minimal grounds to support a protection order. We had better success with a second case. In this instance the child was a young boy who had temper tantrums. During one of his angry outbursts he threatened his mother with a knife. At about the same time he received a tick bite, developed the typical rash, and was prescribed a standard course of antibiotics by his local physician. After completing the treatment he had another rage episode. His mother took him to a Lyme disease specialist who, predictably, diagnosed chronic Lyme disease and prescribed a year of intravenous antibiotics. The boy and his family were referred to us for a second opinion about whether Lyme disease could cause a child to be angry. In our day treatment program we were able to confirm that he had been appropriately treated for Lyme disease. We also determined that he had good reasons to be angry but needed to learn better ways of behaving. The family did not return to the Lyme disease specialist. Several years later the boy and his family are doing well.